﻿ The problem with a lot of indie bands, especially ones stuck under the enormous pressure of hype, is that they have a very defined shelf life. It’s why few will get past one album – two if they’re very lucky – without being muscled off the scene by a new name doing virtually the exact same thing. And no band epitomises this more than Coasts, with a sound that can be boiled down to every element present in their big hit Oceans – summery, lightweight indie-pop interwoven with tropical sounds that’s pleasant enough, but would shatter if exposed to so much as a gentle breeze. The thing is, the reasons they never really caught fire are so easy to pinpoint too; their debut was released last January for a start, and was packed with songs that ranged from interchangeable to indistinguishable. So to give Coasts credit, at least releasing This Life, Vol. 1 in August is a bit more fitting with the overall sound, even if the quality of the music within would have to be massively ramped up to make it a worthwhile listen. And frankly, Coasts have stepped up here, as This Life, Vol. 1 is definitely an improvement. It’s not a major improvement and most of the issues that plagued their debut remain here, but at least there’s something that leaves a mark, largely thanks to Coasts doubling down on the summery vibes that they’ve built their whole brand on and shaping them into something more compelling. It’s still much of a muchness as far as construction is concerned – waves of glimmering synths buoyed by incredibly slight fragments of guitar and vocals completely submerged in reverb – but this time, there’s more of an influence from electronic music that drives the synths and gives them a more defined sense of propulsion. Tracks like Come On Over and Let Me Love You take clear cues from tropical house in more concentrated drops and cushions of choral millennial whoops, and even if the drum ‘n’ bass of Make It Out Alive sounds slightly awkward amongst some of the more frail synths, it’s perhaps the most upbeat and energetic that Coasts have ever sounded. A clearer sense of structure like this works far better than a whole layer of instrumentation simply being slathered over the top of the mix, and while it still isn’t anything with a great sense of longevity, it’s a least of start. Then again, longevity doesn’t seem to be much of an aim, especially for an album like this, driven by heady emotions that stay very much in the moment. That does have its place here too, with vocalist Chris Caines trying to relive the days of summers past, more explicitly in Take Me Back Home, but also by rekindling former relationships on Heart Starts Beating and Come On Over, or experiencing clear “love at first sight” archetypes on Make It Out Alive and White Noise. It’s far from tactile in its approach, relying on basic love story scenarios to deliver its own messages, but Coasts’ own acknowledgement of how short-lived their whole image appears to be allows them to get away with a lot. That’s also This Life, Vol. 1‘s biggest shortcoming though, and true of Coasts on the whole. For the references made to The Smiths and The Stone Roses on Come On Over and Make It Out Alive respectively, the band’s love of indie’s pantheon of giants is made clear, but it’s those references that stick out the most. There’s such a broadness and an ephemeral quality to virtually everything that Coasts do, fine for that heady, one-time experience, but when it comes to repeat listens, the whole thing feels disappointingly hollow. Even with more definition overall, Coasts are still the sort of band to drift by without a trace to the point where, at its most subdued, a number of moments here could be seen as backing music and no qualms would be made. The frustrating thing is that it feels like Coasts want to try new things too; Born To Die addresses existentialism to some degree, but again, there’s no detail or anything to give it unique colour or personality. If Coasts want to succeed in the long term, this is the one thing that needs addressing sooner rather than later. They’re a band for whom success is a very possible outcome, and this album shows they’re slowly moving towards the right track, but they feel too hung up on their own rigid shtick and adhering to it rather than branching out and trying something new. Again, This Life, Vol. 1 isn’t exactly bad, but its appeal becomes extremely limited in a hurry, particularly after spending some time with it. ‘This Life, Vol. 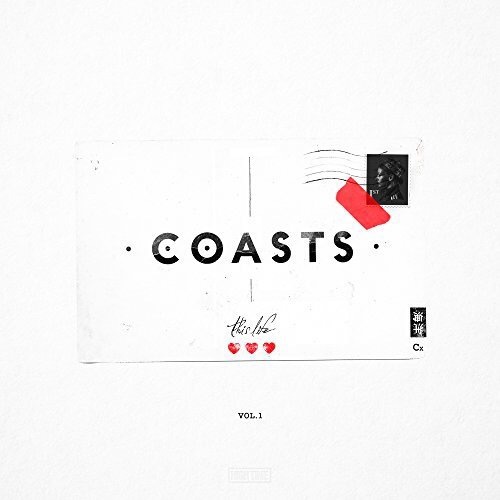 1’ by Coasts is out now on High Life Records.